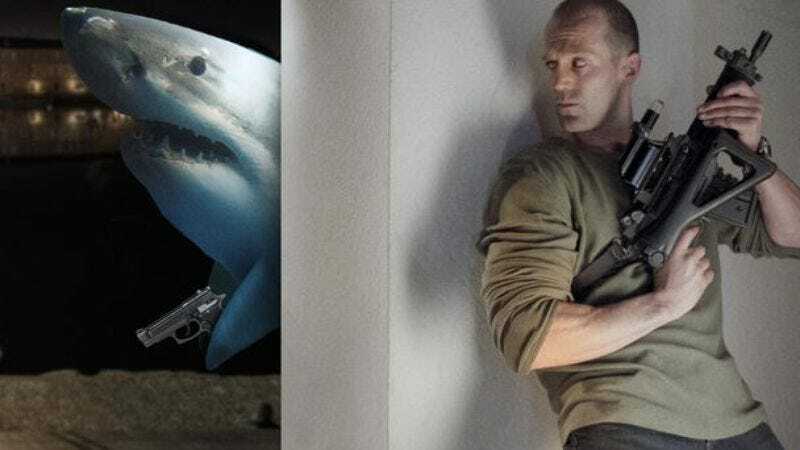 Jason Statham’s prehistoric shark movie is going to need a bigger lead up to its release date. Variety reports that Jon Turteltaub’s Meg, a film about an apex predator (but enough about Statham), will now open on August 10, 2018. That date is five months past the original debut of March 2, 2018. There’s no info on why the release was pushed back, but it wouldn’t be the first bump in the road for the production, which once had Eli Roth attached to direct. The action-packed drama comes from Steve Alten’s Meg: A Novel of Deep Terror, a book about the megalodon, a giant shark species that ruled the seas. Instead of being a film about conservation, though, Meg will center on an attack on an international underwater observation program at the bottom of the Mariana Trench. Statham stars as a former Naval captain, who is also an expert deep-sea diver, which is how he ends up on this “likely suicide mission.” But Statham also has a shared past with the megalodon, which tore his previous crew apart. Ruby Rose, Rainn Wilson, and Li Bingbing costar.